Part of our Baby Collection! 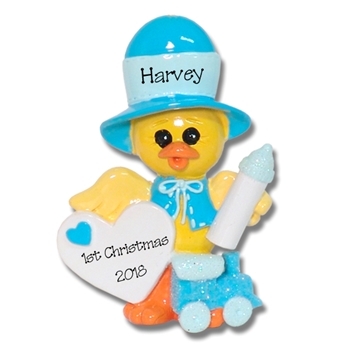 This darling little chick is perfect for any baby boy. Whether it is his 1st Christmas or new born. Designed by me and hand painted. Comes complete with a hook and satin ribbon for hanging.